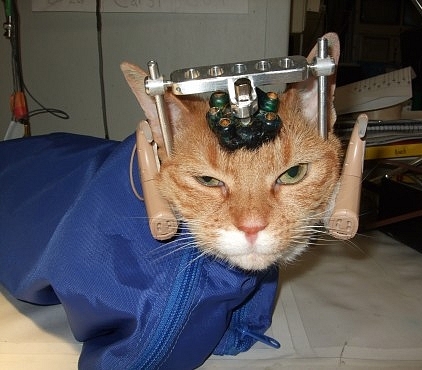 The researchers constantly make use of new “animal models“, all animal species are used, but more than 80% are rodents. The remaining 20% are primates (more than 3 000 in France each year), but also dogs and cats (a few thousand in France), as well as many ‘farm animals’ and fish, amphibians, crustaceans and invertebrates (including insects of which the number is impossible to know). Animals are sourced either from laboratories’ internal breeding facilities or from external specialised breeding facilities where they are conditioned to this effect, or are sometimes provided by international trade giving rise to trafficking and to long and demanding air transportation which is fatal to a large number of animals, even before they arrive at their destination (especially primates). Animal research decimates nearly one billion animals per year in the world. In Europe, official figures state that 12 million animals are killed each year, but they do not include the number of non-viable transgenic animals or those who are born without the gene required for research and which are then disposed of as surplus (i.e. between 90 and 99%). France, where an animal is killed every 12 seconds for education and research (which corresponds to 3 million animals per year), is the country in Europe with the United Kingdom and Germany, which sacrifices the most animals in its 500 public and private establishments involved in animal experimentation.